Hepatic veno-occlusive disease (VOD) is a potentially fatal complication of hematopoietic stem cell transplantation (HSCT). We conducted this study to investigate the incidence and risk factors of hepatic VOD for patients receiving HSCT in Taiwan. We retrospectively analyzed the data from a nationwide registry for patients receiving HSCT, which was collected by the Taiwan Society of Blood and Marrow Transplantation. The data collection period was from 2009 to 2014. A total 2345 patients were reviewed and 39 patients among them were diagnosed as having hepatic VOD. The cumulative incidence of hepatic VOD in the whole cohort of 2345 patients was 1.66%. In multivariate analysis, disease diagnosis of myelodysplastic syndrome, chronic HCV infection, condition regimens of bulsulfan intravenously administered, and antithymocyte immunoglobulin were independent factors to predict higher risk of hepatic VOD. The overall mortality rate for patients with hepatic VOD was 79%. Patients with hepatic VOD had significant worse survival outcomes when compared with those without hepatic VOD (P = 0.00063). In conclusion, although the incidence is low, hepatic VOD remains a serious complication after HSCT in Taiwan. The findings of this study could be the basis for developing prophylactic or early treatment strategies for hepatic VOD. The authors thank all the patients and hospitals who participated in this study. 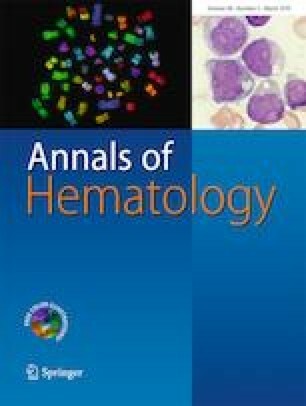 The authors acknowledge the Taiwan Society of Blood and Marrow Transplantation for data collection and registry. The authors also wish to thank Mrs. Bor-Yu Tsai and Shin-Tsung Huang from the NAVI Biotherapeutics Inc. (Taiwan) for supports in data analysis and advice. This work was supported by grants from the National Taiwan University Hospital (NTUH 107-S3777, 108-S4194 to H.-H. C.) and Ministry of Science and Technology, Taiwan (MOST 103-2314-B-002-072 and 104–2314-B-002-168-MY3, to H.-H. C.).